According to a newly-issued report by the Maine Board of Elevator and Tramway Safety, a chain of mechanical failures is at the root of a ski lift accident that injured 7 people last March. The report confirmed the earlier preliminary findings of a team of engineers who investigated immediately after the accident. The 27-year-old King Pine ski lift at Sugarloaf in Carrabassett Valley was carrying more than 200 skiers when it failed. The lift traveled about 400 feet in reverse and many of the riders jumped off. Just five years ago, Sugarloaf’s 35-year-old Spillway East lift also malfunctioned. In that incident, eight skiers were injured after falling 25-30 feet and many other riders spent more than an hour trapped in the air. After that accident, Sugarloaf replaced the Spillway East entirely. Both accidents were on older lifts, similar to those found at many ski resorts across the country. According to the state report, the King Pine ski lift experienced a series of malfunctions that ultimately caused the accident. Coupling that connected two gearboxes failed, allowing the lift to roll in reverse. An anti-rollback device should have stopped this, but the device failed to engage. Finally, an emergency brake failed to activate. 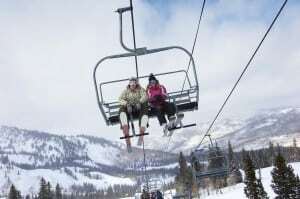 The report concluded that the ski lift owners and operators need to coordinate with the manufacturers to ensure that the lifts are outfitted with any system updates or upgrades that would make the lifts safer and more reliable. According to Rich “Crusher” Wilkinson, vice president of mountain operations, the resort is now investing $1.5 million to make sure the lifts are outfitted to meet the most modern standards and components. Upgrades include replacing the drivetrain on the King Pine and replacing the gearbox on another lift, Timberline. Seven lifts have received upgraded brakes and one older lift was removed entirely. Ski lift accidents are complicated because they involve both mechanical issues and many legal questions. There can be many parties involved, such as the resort owner, the lift operator, equipment manufacturers, service technicians, and even any patrons on-scene. When the blame is not clear-cut, each of these parties may begin pointing the finger at another. To receive compensation in a civil case, a plaintiff needs to be able to meet the burden of proof to show that the defendant is at fault for the injuries. This often means working with a number of experts who can explain to a jury what the lift owners or operators should have done. If you or a loved one has been seriously injured in a ski lift accident, you may be entitled to compensation. To discuss the merits of your case with trusted Maine accident lawyers, please call the law offices of Hardy, Wolf & Downing to arrange a free and confidential legal consultation. Call 1-800-INJURED to learn more today.